Embalming is when body fluids are replaced by chemical fluids to preserve the deceased body. Embalming aids in infection control and enhancing the presentation of the deceased. The process is sometimes minimal and is used for the benefit of families wishing to view their loved one. Full embalming is only done in some cultures and if the body is to be repatriated interstate or overseas. 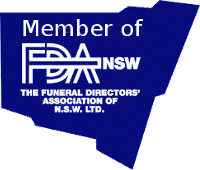 Our embalmer is a qualified and certified person who is responsible for the preparation and embalming of deceased persons for the funeral and burial or cremation. Complete preparation and sometimes restoration of the body is required if the deceased has experienced violence or the ravages of disease. Cosmetics are sometimes used to provide a more acceptable image for family and friends to view.